Glowing meteors streaking across the night sky marks the peak of the annual Perseid meteor shower which is expected to be an even more striking spectacle this year, thanks to Jupiter. The smattering of comet dust from the Swift-Tuttle comet reach Earth every year as both their orbits cross, but every so often the meteors get a boost from Jupiter’s gravitational field when the gas giant comes as close as it can to the comet. The smallest distance between Jupiter and the comet is about 257 million kilometres (160 million miles) and this happens every 11.8 years as Jupiter completes its orbit around the Sun. Jupiter’s gravitational field nudges the meteors 1.5 million kilometres (930,000 miles) closer to Earth, making them appear brighter and twice as frequently across the sky. 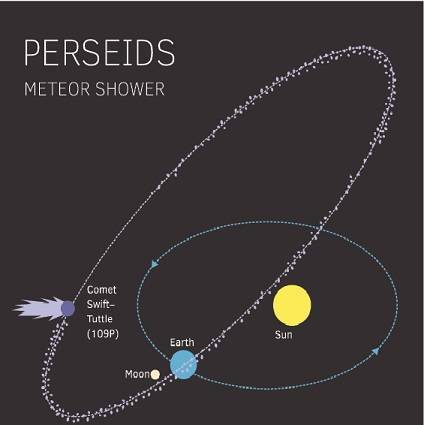 The Perseid meteor shower is expected to peak - with up to 200 meteors an hour - during late night Thursday and early morning Friday (August 11 - 12). As the Swift-Tuttle comet travels around the Sun on its 133-year orbit, it gets heated up and ejects fragments of dust. When the Earth reaches this cloud of dust, the meteors are flung into Earth’s atmosphere at 132,000 miles per hour and burn up - making them appear like shooting stars. NASA recommends sky-watchers to venture outside between midnight and dawn on the morning of August 12. “Allow about 45 minutes for your eyes to adjust to the dark. Lie on your back and look straight up. Increased activity may also be seen on Aug. 12-13,” NASA said.